Every so often, we’ll interview extraordinary girls doing extraordinary things: this is Girl Crush. This week, we’re stoked to feature badass radass female climber and digital dirtbag Megan Sullivan. Megan Sullivan’s business card says that she is a Producer and Director for an internal production company within an advertising agency, but she is basically a dirtbag who lives in the city of San Francisco and travels to wherever possible as much as possible. Every so often, we’ll interview extraordinary girls doing extraordinary things: this is Girl Crush. This week, we’re stoked to feature for the love of climbing author Kathy Karlo. 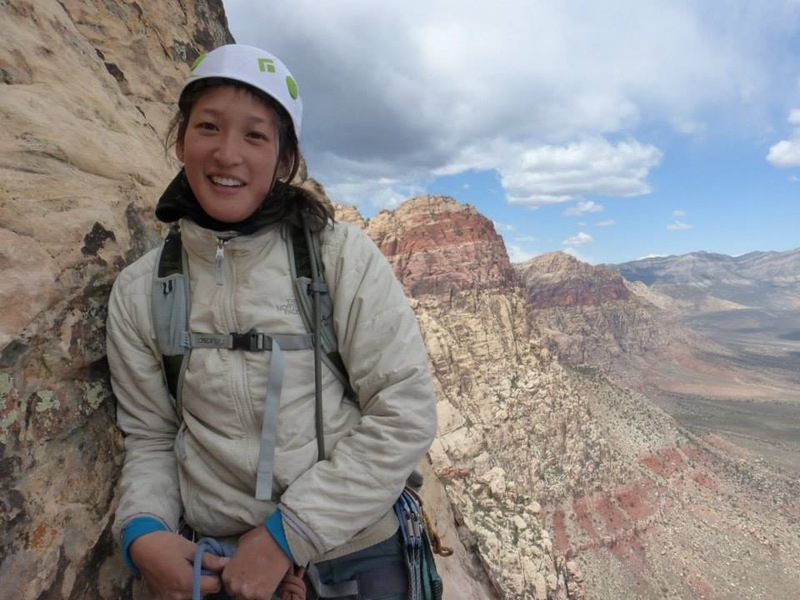 Kathy Karlo is a rock climber based out of Brooklyn, NY. When she’s not on the road, she owns a Brooklyn and Boulder-based nanny agency. Between baking and loving’ on dogs, she’s desperately trying not to kill the last few living basil plants in her apartment. Her love of rock and ice has been a life changing experience. She encourages anyone and everyone to try it! Her belief that climbing a rock is so much more than that…it’s a life journey that forever tests the limits of possibility. Kathy is adopted from Korea, has a brown dog named Shooter, and a severely irrational fear of both zombies and dinosaurs. If it isn’t ridiculous, then what’s the point? Every so often, we’ll interview extraordinary girls doing extraordinary things: this is Girl Crush. This week, we’re stoked to feature Vegas-based bouldering babe-turned-trad-climber Irene Yee (@ladylockoff)! Brush the chalk off of whatever climb you were working on after you are done with it. The rain will come, and the chalk with run and stain the face. The chalk will also absorb moisture, which could result in mold building up on the hold and inevitably cause the rock to be slick. Leaving chalk up is like taping a climb outside, and no one likes a beta bomb. Don’t stray off of the trail, and respect the boulders in their natural habitat. Mother Nature is a lady of time and patience, and it has taken her a long time to grow what ever fungus might be on the back of that boulder. Always try to pee closest to a tree, and furthest from moving water. As for #2, dig a hole – a generous one – do your business, and cover it up. (Pro tip: pack the dirt that you used to cover up the hole well; animals will get curious and eat it, and humans might roll their ankle in it). Every so often, we’ll interview extraordinary girls doing extraordinary things: this is Girl Crush. This week, we’re thrilled to have caught up with bouldering babe and female entrepreneur Natalie Siddique right before she headed off to the Valley to get her climb on! is a Russian-Bangladeshi climber, traveler, shenanigan-seeker, and co-founder of Moja Gear. She’s explored over 25 countries and 48 states, lived in both Russia and Bangladesh, and has found her happy place in California. Natalie’s ideal days involve early morning sunrises, crimping on small nobs, playing a round of Settlers of Catan, and drinking an IPA. Every so often, we’ll interview extraordinary girls doing extraordinary things: this is Girl Crush. 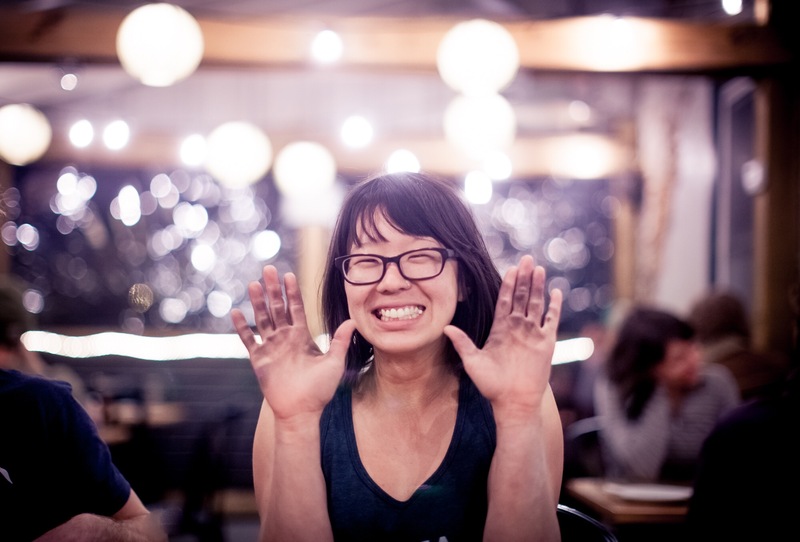 This week, we’re totally stoked to have caught up with badass par excellence Allison Ong (en route to Yosemite, no less)! I first met Allison during my climbcation to Vietnam, where she was working as a rock climbing guide on Cat Ba island a few years ago. Allison has lived and climbed all over the world, from New York to Tokyo to a Subaru Outback across the United States. Allison currently resides in East Palo Alto, CA, where she interns for a landscape architecture firm, and route sets at her local gym. 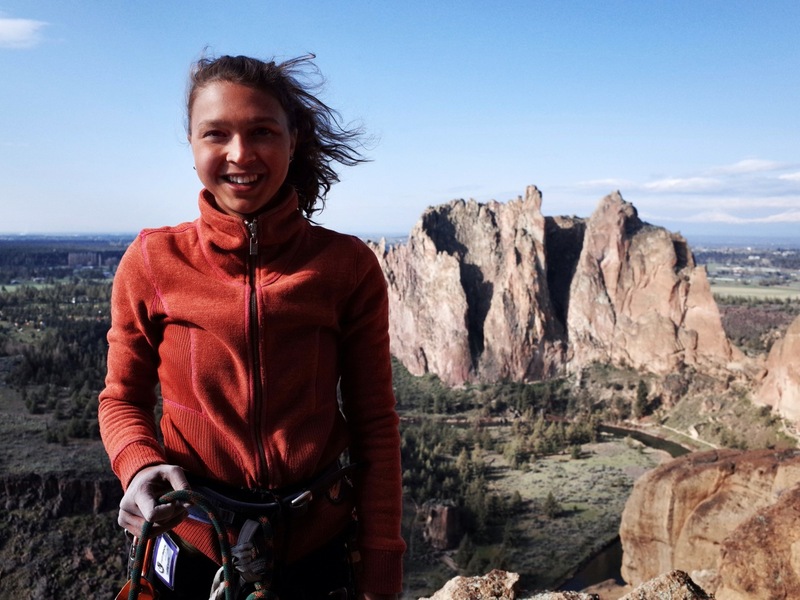 She considers herself a 5.10 trad climber, and some of her favorite ascents include: Liberty Cap & Half Dome, Yosemite; the Mont Blanc, France/Italy; Levitation 29!, Red Rock; Modern Times, The Gunks! (that roof is intimidating!! ); and The Face, Vietnam.